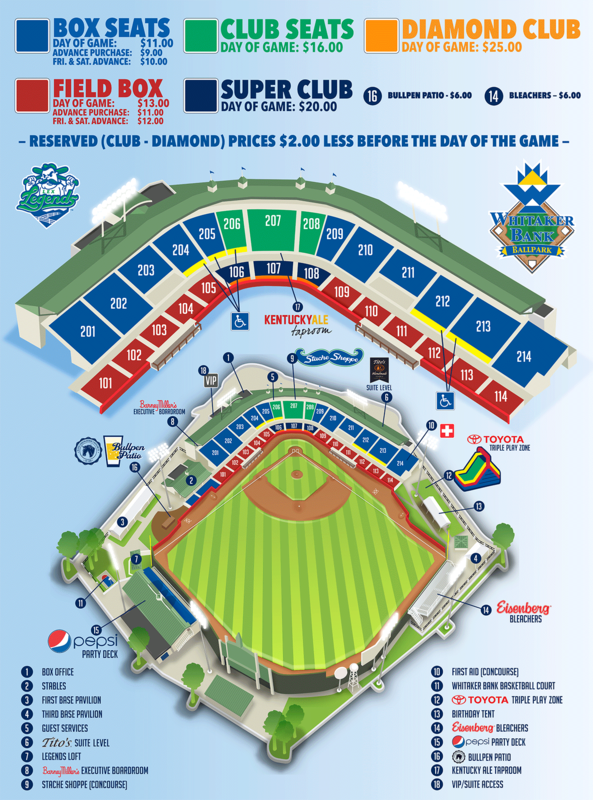 Whitaker Bank Ballpark (LEXINGTON, KY) - The Lexington Legends are excited to announce that they will be one of 72 Minor League Baseball teams this season to participate in their second year of Copa de la Diversion ("Copa"). Every Friday night, the Legends will change their identity to 'Las Leyendas.' The 'Las Leyendas' moniker is the direct translation of 'Legends' to Spanish. The sugar skull logo pays tribute to Dia de las Muertos, an annual celebration of those who have passed. The Lexington Leyendas will feature unique on field jerseys and caps with a sugar skull. In addition to the team name and uniforms, the Legends will also have giveaways on certain Copa nights showcasing the new identity: thundersticks, Big L Leyendas bobblehead and a Leyendas WKYT Kids Jersey. MiLB will be partnering with the Lupus Foundation of America to raise awareness of Lupus among U.S. Hispanic/Latino fans. The Legends will be specifically teaming up with the Mid-South chapter. The LFA will be the first-ever philanthropic partner tied specifically to MiLB's Hispanic/Latino fan engagement initiative. "We are so excited to be chosen to participate in this year's Copa de la Diversion. Each season, we grow our Hispanic Heritage Night and this will accomplish that tenfold. We have worked hard to ensure that we have integrated the Latino culture into different aspects of our game days from giveaways, merchandise, even down to the color of belts the Legends will wear with their Leyendas jerseys!" says Legends President/CEO, Andy Shea. On Friday, May 17 the Legends will be giving away 1,000 Leyandas-branded inflatable thundersticks designed by Maxwell Elementary students. The idea and execution is part of the Legends' annual Stache Tank Program partnership with local schools sponsored by UK Healthcare/Kentucky Children's Hospital. The second giveaway will take place on Friday, May 31. 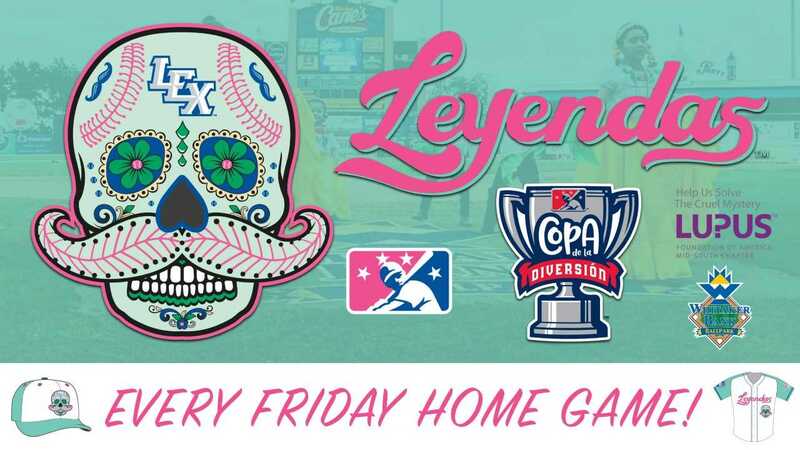 The first 1,000 fans will receive a Big L Sugar Skull bobblehead featuring Big L in the Leyendas uniform with a sugar skull face, similar to what is on the front of the on field hats. On Friday, June 21 the first 1,000 ticketed kids through the gates will receive a Leyendas youth jersey sponsored by WKYT. The jersey will be a replica of the Copa jersey the Leyendas will be wearing throughout the season. Hispanic Heritage Night will take place on Friday, July 27. Fans can celebrate and appreciate the Hispanic Heritage with food, music, dancing, art and more. In the Stache Shoppe, fans can expect to see men's and women's Copa replica jerseys and on field New Era 59Fifty Hats. Also featured will be a variety of Leyendas t-shirts, lanyards, key chains, tumblers and stickers.